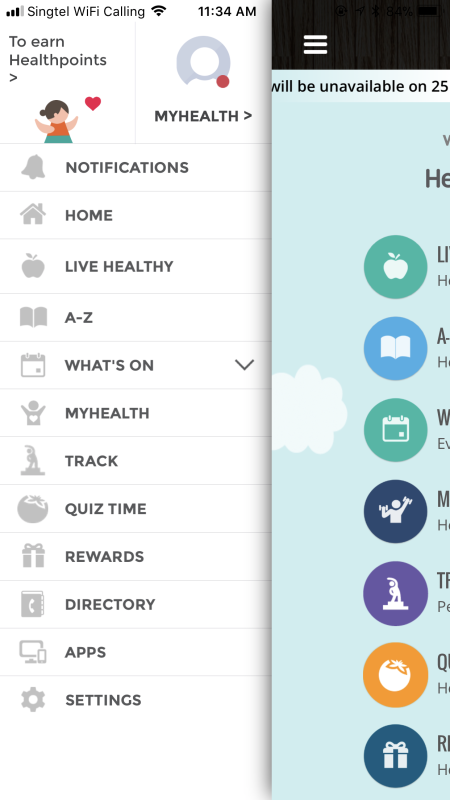 Using Singapore’s HealthHub app to keep track of my family’s health | Beverly's Net: family. food. fashion. 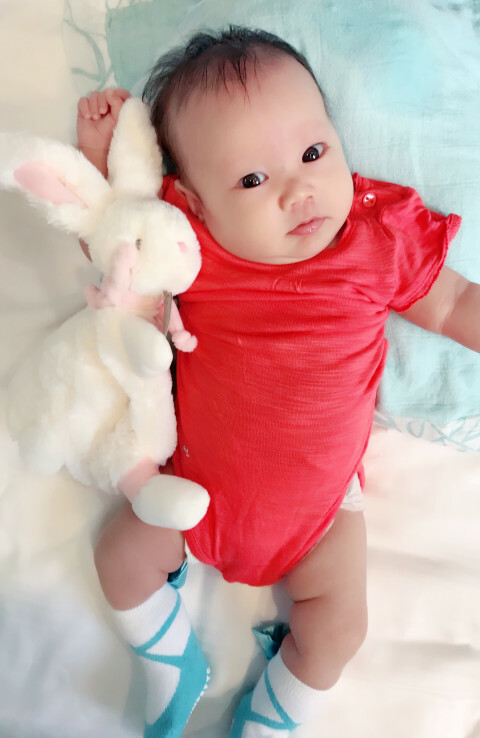 Using Singapore’s HealthHub app to keep track of my family’s health – Beverly's Net: family. food. fashion. I pretty much live and breathe by my phone, and I’m not ashamed to admit that! It holds my Calendar for every single event our family has scheduled, and I use it for all my Notes and Shopping List for the family. 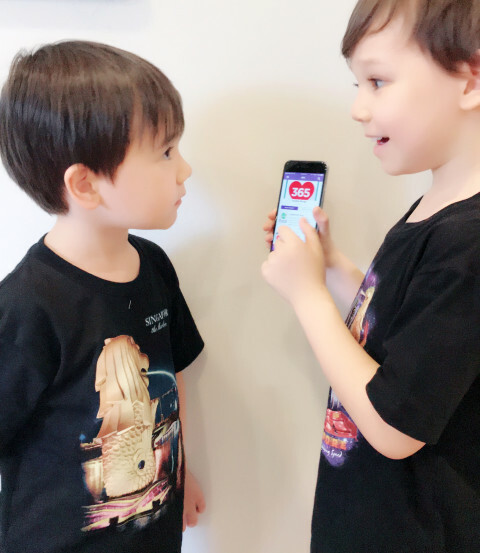 And… well… there is the chatting and social media aspect that I’m addicted too, of course 😉 Gotta track every aspect of my children’s milestones and development like a legit millennial mum, right?! 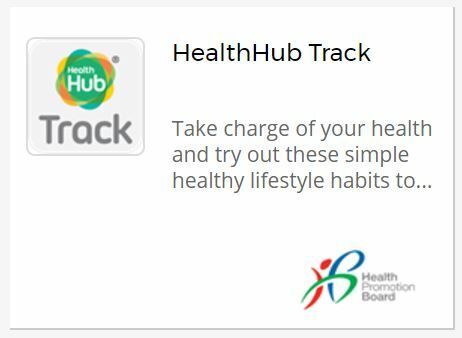 So, recently, I downloaded the HealthHub app, which is released by the Singaporean government’s Health Promotion Board (HPB). It’s actually really fab how the government makes the effort to develop and release FREE apps for residents! 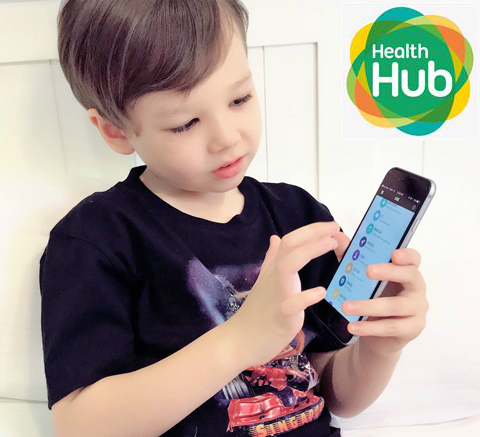 The HealthHub app’s purpose is straightforward – it is a one stop shop to track your health records for ALL your family members. It means I’ll never *ahem* forget my kid’s Health booklet during their doctor appointments, nor will I forget which family member had what health issue and whatever point in time, and I’ll now be reminded of appointments for doctors and dentists coming up. 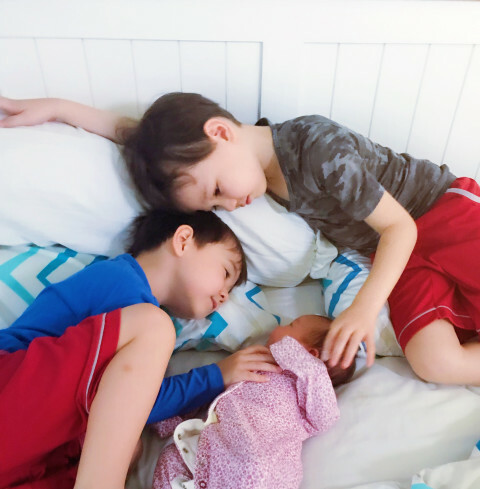 My three kids.. so precious to me, so naturally I want to make sure I’m on top of anything to do with their health. 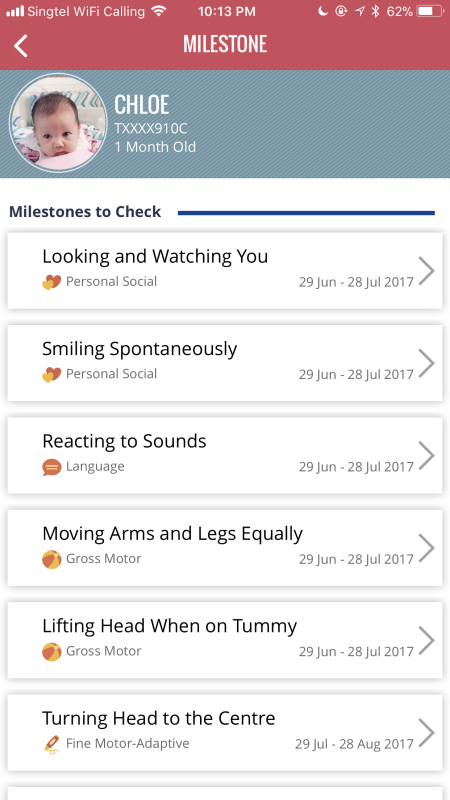 So what does the HealthHub app show you? 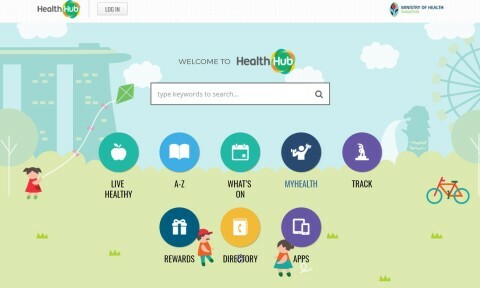 The information in HealthHub is drawn from a myriad of government systems, some of which include the National Electronic Healthcare Record (NEHR) system, the School Health System, School Dental System and National Immunisation Registry. You can see above that you can do a whole lot within this app. 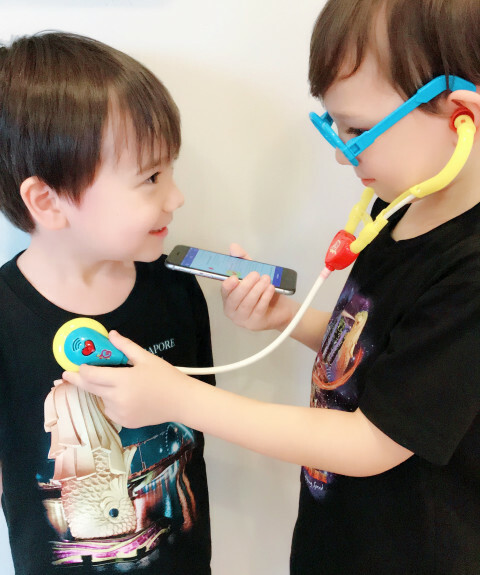 But since I’m predominantly interested in kid stuff, I’m zero-ing in on Children’s Health, which is a sub section of MyHealth. 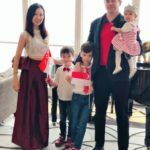 I have all 3 of my kids registered, which you’ll see above! I just pop in their name and their Birth Cert number, and all’s done. 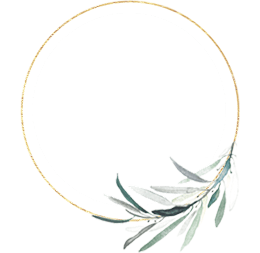 Each child has their own personal sub sections, which you’ll see above. What I find the most useful is the Immunisations section. If you ask me which kid had what vaccination done when….. errmmm…. I basically couldn’t tell you! But this section tracks them all. 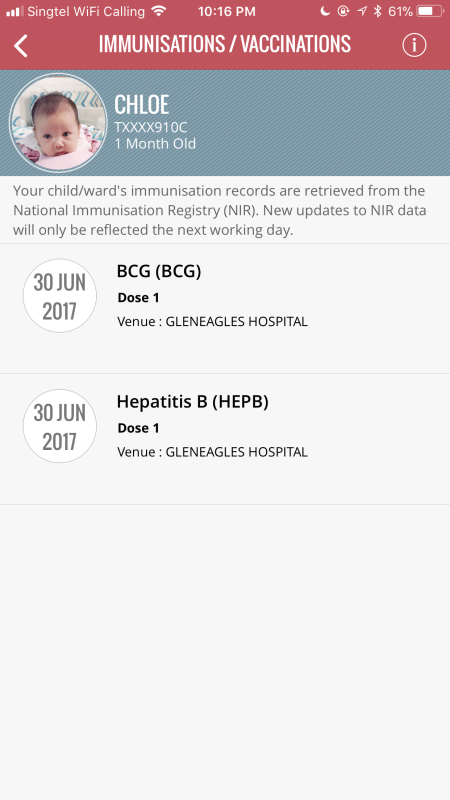 Better yet – it’s auto-retrieved from the National Immunisation Registry (NIR) so you don’t even have to log it yourself!! 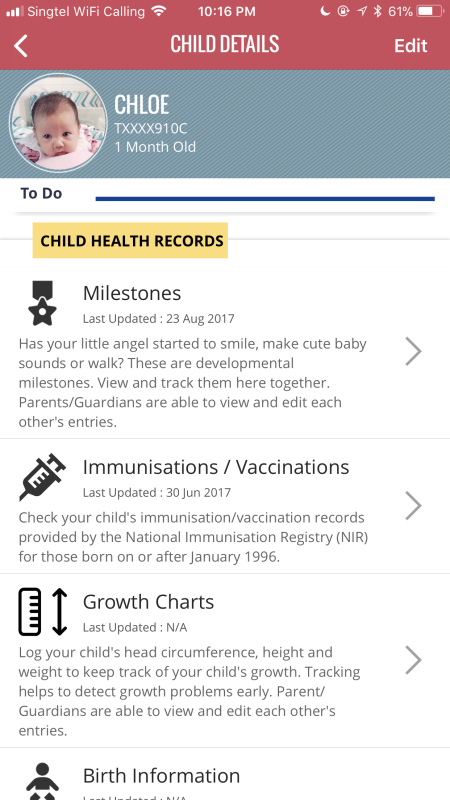 You’ll see above that Chloe’s had 2 immunisations, and they are auto-loaded for me in the app. 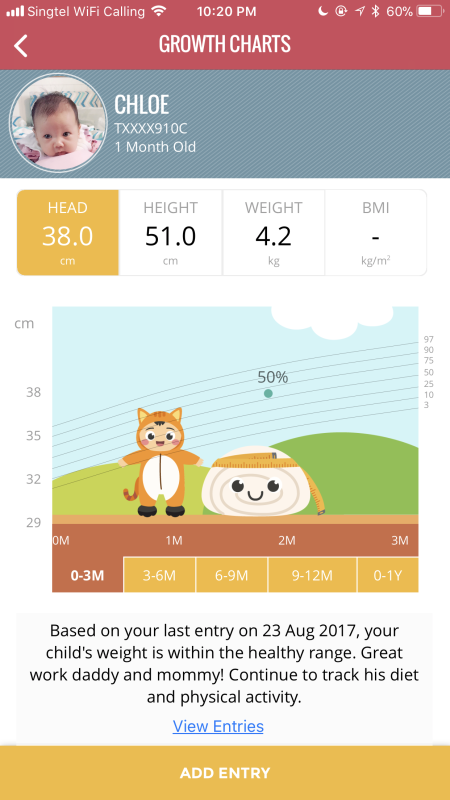 The Growth Chart is a nice, visual way to track Chloe’s head/height/weight measurements against the national average. I pop it in after each doctor’s visit so I can see how she’s doing, and it’s really nice having records of all 3 kids’ growth on hand. 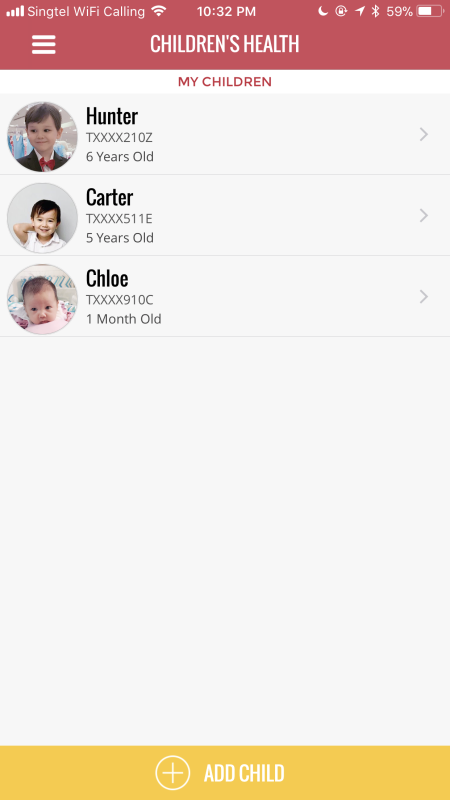 log your own, aging parents’ or relatives’ data. read up on health-related topics covering food and nutrition, physical activity. 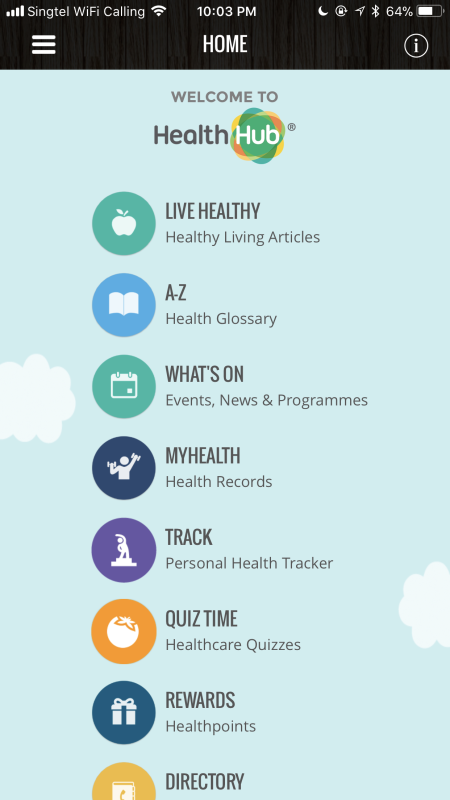 The HealthHub app is seriously comprehensive. 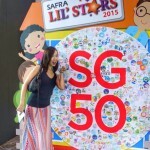 And I’m just SO impressed the government has released something like this, that is so useful for the everyday Singaporean and their families! 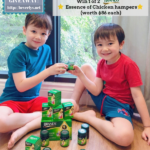 It makes monitoring and keeping on top of my whole family’s health status super easy and fuss free.